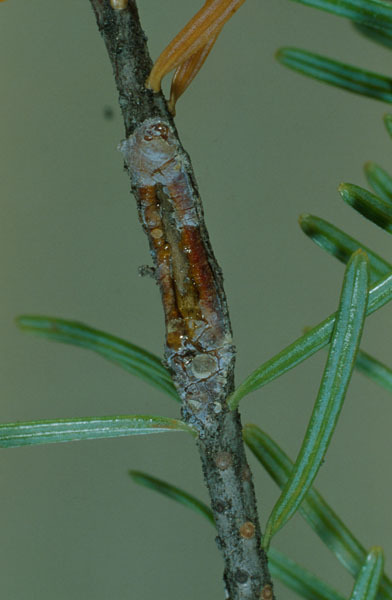 It is the larval stage of the whitespotted sawyer that causes the most damage, by feeding inside the trunks of weak or recently killed or felled conifers. 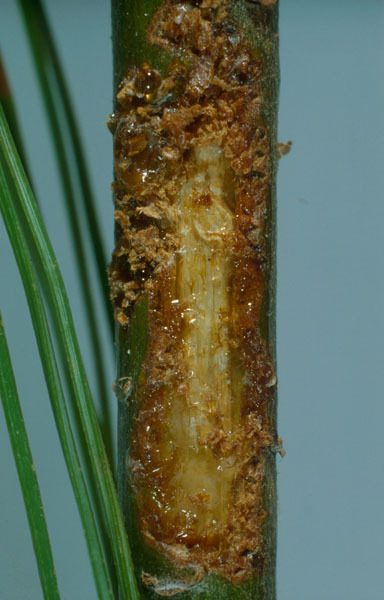 Adults cause injuries to the young twigs of healthy trees by feeding on the tender bark. 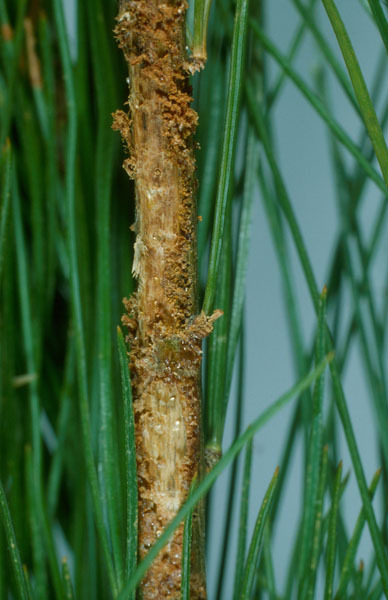 Early signs of an infestation include the presence of numerous adults laying eggs on the trunks and many reddish twigs, early in summer. 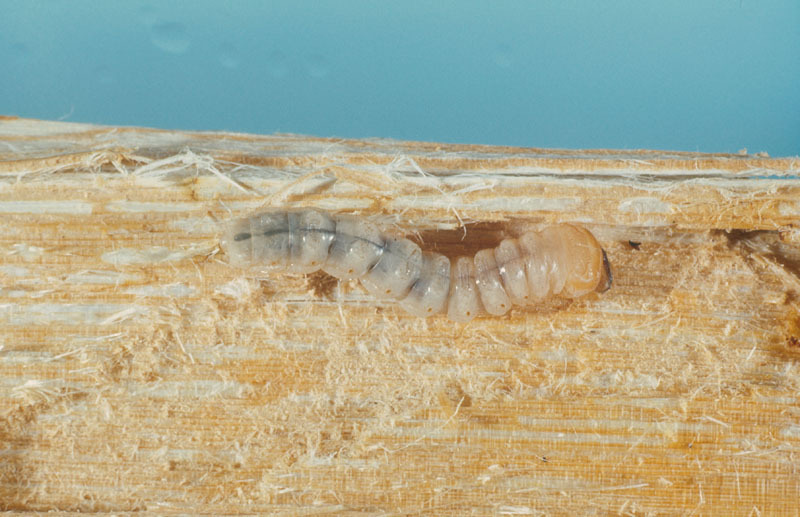 Later on, small piles of wood dust will be seen at the base of trees or on logs; these are the result of larval feeding within galleries. 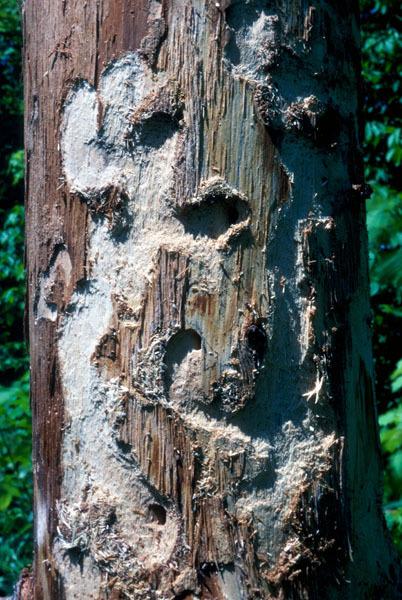 The presence of circular holes on the bark's surface caused by the emerging adults signals the end of damage to infested trees. 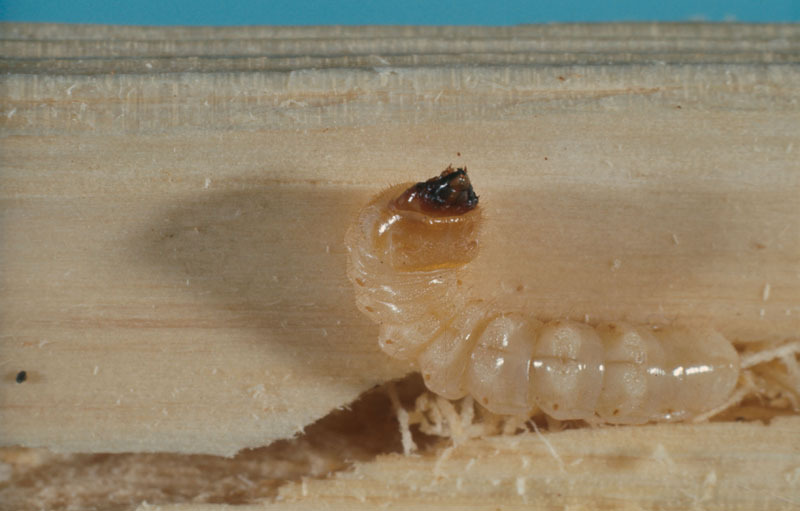 A characteristic sound can frequently be heard, which is made by the larvae as they feed on the wood within their galleries. The whitespotted sawyer has a two-year life cycle. 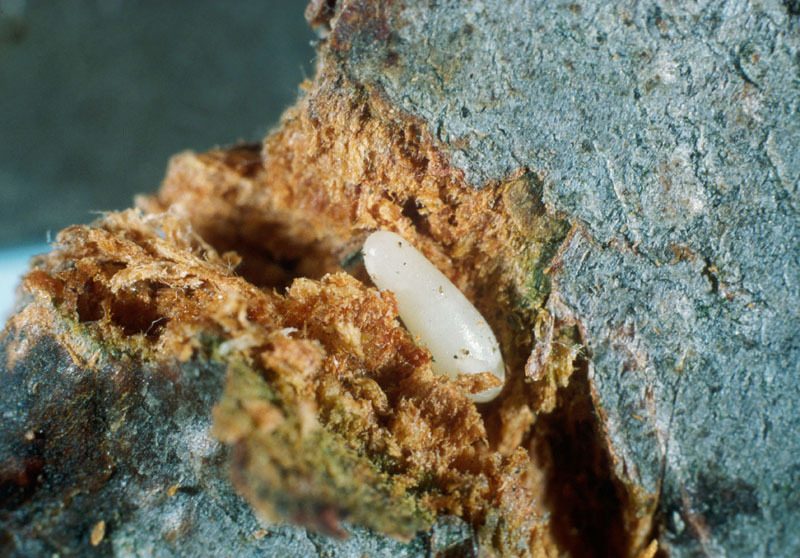 The galleries excavated in the outer bark by the young larvae have little effect on timber production because the bark is removed at sawmills. However, during the second year, the galleries are excavated deep into the wood and hence are much more damaging; these U-shaped tunnels can be seen when the wood is cut longitudinally. 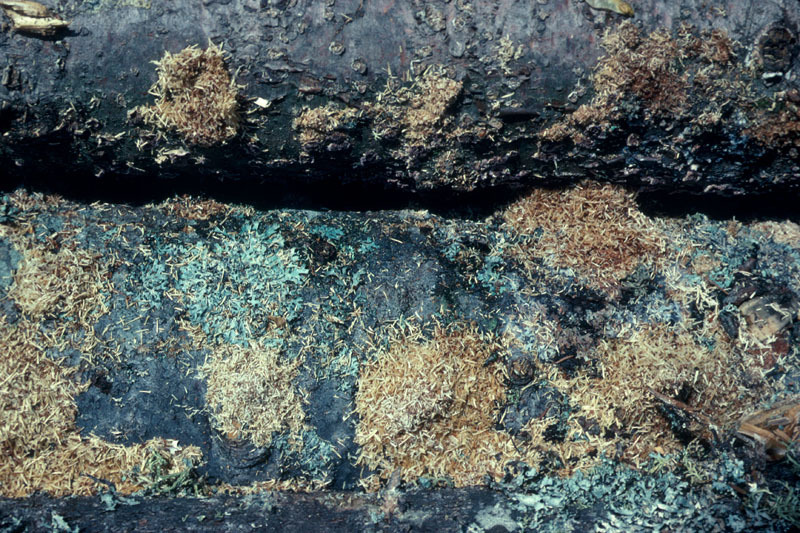 These galleries cannot be removed from logs at the sawmill, and their presence stimulates the growth of a fungus that gives the wood a bluish cast and reduces its market value. 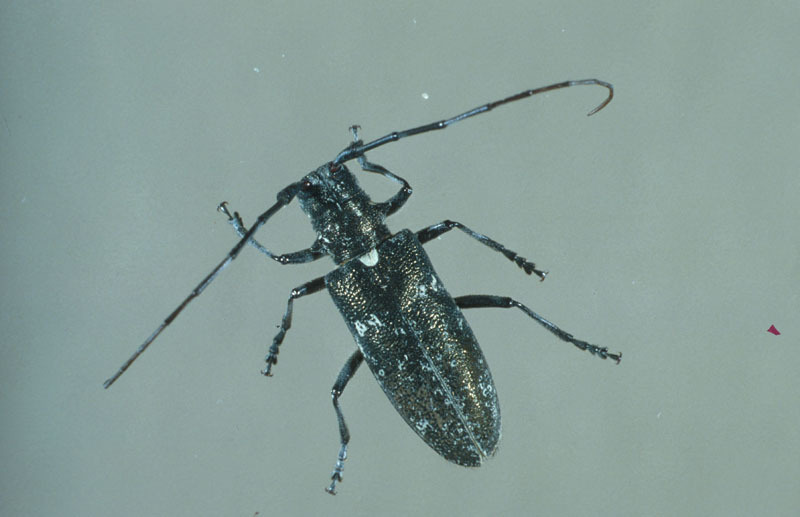 The whitespotted sawyer's presence in the forests of Eastern Canada is considered normal and has been recorded every year since 1936. 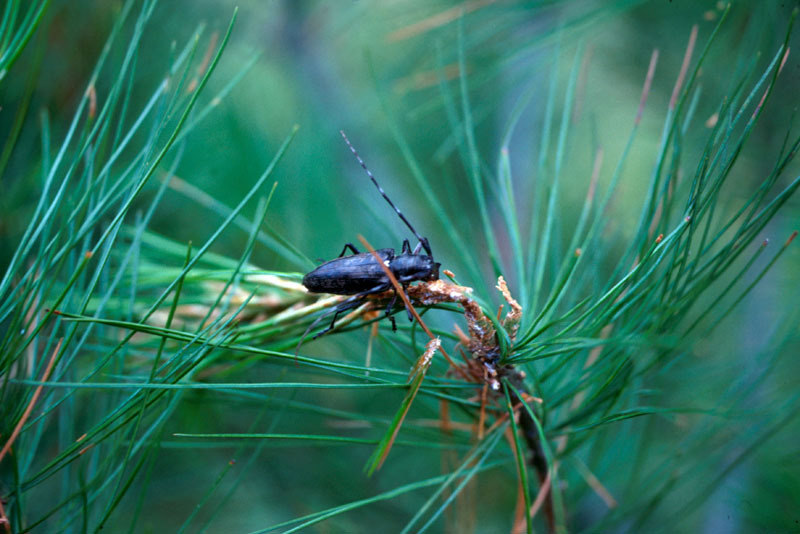 The insect generally attacks overmature or dead trees after a forest fire, a windthrow event, a disease or defoliation. It can also be found in stacked logs just after felling or in the walls of cabins made from unstripped logs. 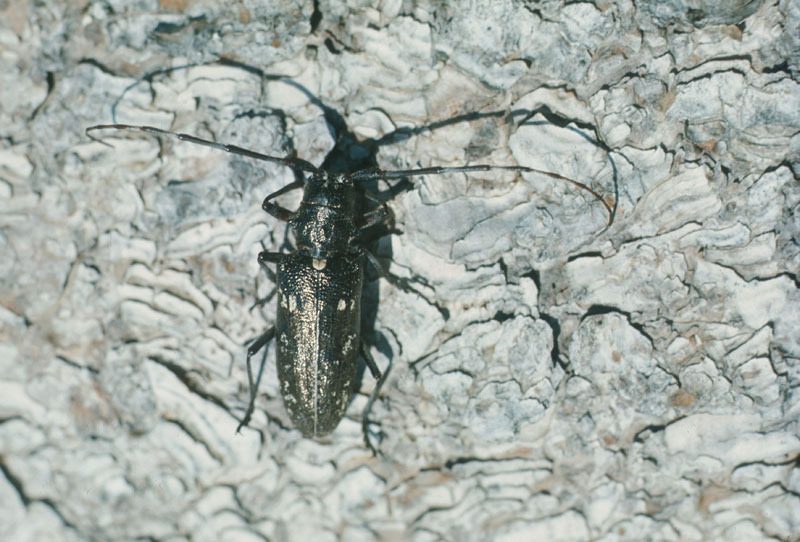 Appropriate silvicultural practices can help to reduce the impact of the whitespotted sawyer in cutting areas and hinder its invasion of sawmill yards. 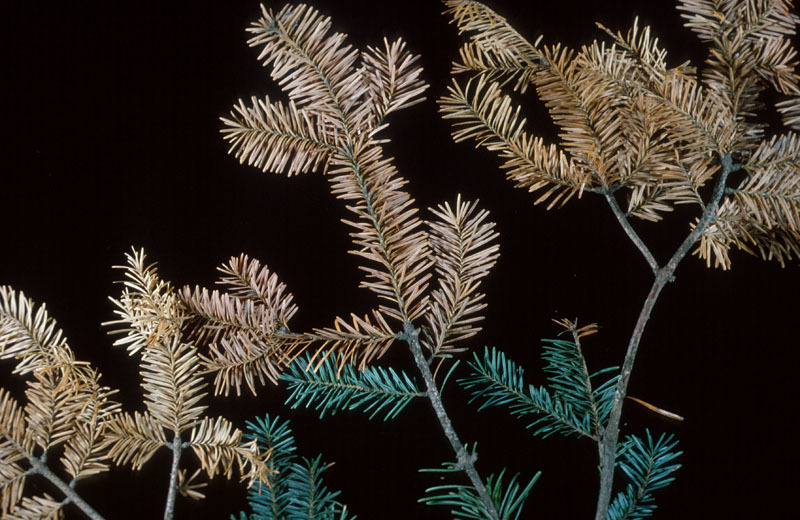 Suitable precautions for obtaining quality timber are as follows: wood piles should be protected by spraying water on them continuously during the egg-laying period; logs should be stripped right after felling or log piles should be covered with a layer of fir or spruce branches to prevent egg-laying.